We’re using a greeting from Okinawa because we’re excited to serve up a bit of Okinawan soul food for our latest installment of Saturday•Izakaya. We chose to make taco rice (タコライス) for this video because it was a hit at our JapanCulture•NYC Izakaya-themed Christmas party. 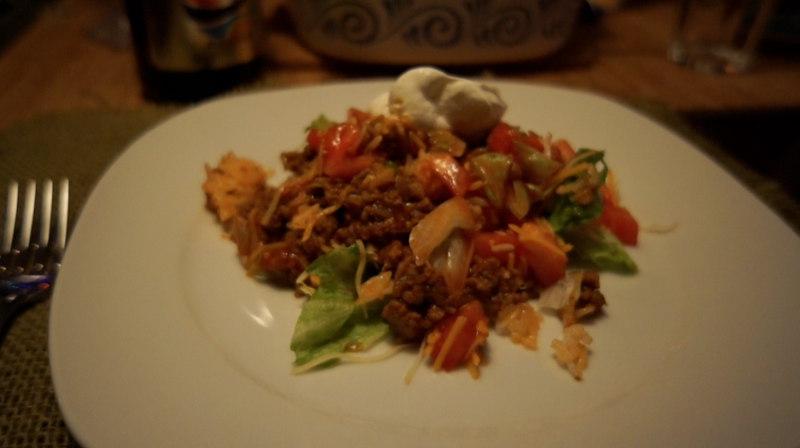 Taco rice is a relatively new dish that was created for Americans during the 1960s. As the story goes, an Okinawan chef in Kin Town wanted to offer a meal that would appeal to the palates of his military customers from a nearby Marine base. So he blended rice, the ultimate staple of Japanese cuisine, with Tex-Mex flavored ground beef. Isn’t that easy?! 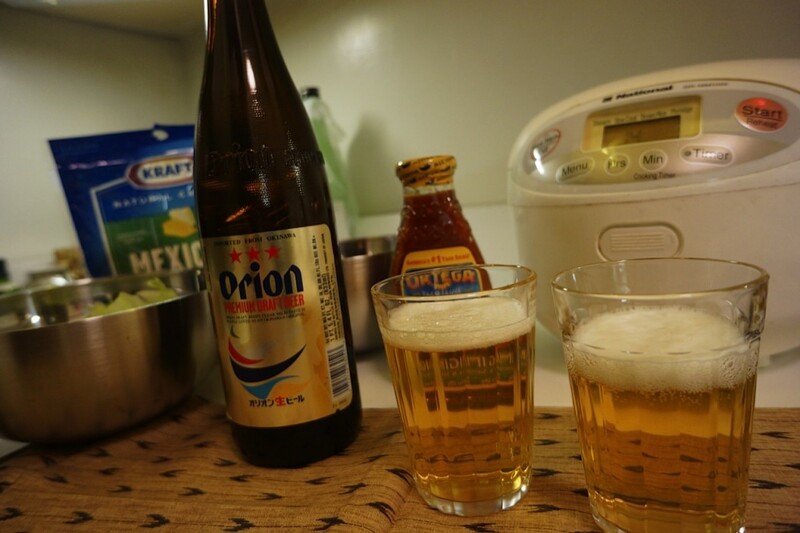 And, like with all Okinawan cuisine, Orion Beer complements taco rice beautifully. We were excited to feature our new knives from Korin in the video. Sincere apologies to Korin for the poor knife skills; we resolve to improve in 2013! Making taco rice is fun!